Whitecliff Vineyards (June) in Gardiner, using the stills at Tuthilltown Spirits, is making brandy from their Frontenac grapes, aged for a year in three-year-old Chardonnay barrels at the winery. The first 10 cases are now a year old and available for purchase. There’s also a grappa made from a variety of their red grapes in the traditional way: the pomace (skins left after pressing) is rehydrated and distilled. Whitecliff winemaker Michael Migliore also makes a traditional Port by adding neutral spirits to wine before fermentation is complete, leaving residual sugar and a final alcohol level of about 20 percent. He’s done some experiments with aging the port in Tuthilltown’s Bourbon barrels, and a collaboration may be in the offing. Also in the drinking department, Cereghino Smith (March) have released their first wine made from New York grapes. 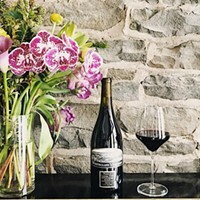 The 2008 Cabernet Franc comes from Martini Vineyards in the Finger Lakes, and is blended with 10 percent Petite Sirah made from California fruit. The elegant, strawberry-scented structure for which Cab Franc is renowned, buttressed by the jammy opulence of the Petite Sirah makes for a wine that promises to go famously with winter stews and braises—especially after decanting for a few hours. The wine is now available on their website, as well as from local merchants. Something not previously covered but worthy of mention is the Hudson Valley Seed Library. Ken Greene and Doug Miller are beginning their third season of carefully sourcing and selling seeds from their farm in Accord. Their focus is on finding New York-specific heirloom varieties that grow well in home gardens, and their goal is to carry 100 percent New York grown seeds in about five years. “Over time, seeds grown here will adapt and perform even better,” says Greene. He goes on to underscore that rescuing heirloom species with a history in the state is an essential response to increasingly monocultural industrial agriculture, but that ultimately it’s all about the taste. “Someone might not share or care about my politics, but if a tomato is delicious, we can all agree on that,” Greene says. The Seed Library offers memberships—again, on the CSA model—that allow for discounts on purchases. The new 2010 catalog is up on their website this month. 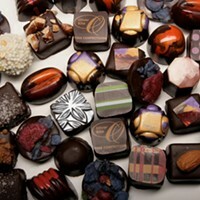 And last, for dessert, Lucky Chocolates has moved to a new site on Partition Street in the village of Saugerties. Owner Rae Stang wanted to be in a pedestrian area with lots of foot traffic, and she’ll be living over the store for good measure. 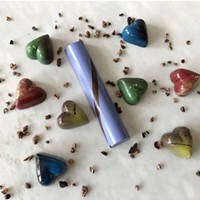 Lucky 2.0 will offer classes for adults and kids, and maybe expand to include other products beyond their organic, fair-trade chocolates. The grand opening of the new store will be on January 30. It’s no coincidence that the term “CSA” appears as often as it does in this piece. Producers are settling on it as a model because it pushes money up the supply chain, offering some financial stability to the growers who risk the most. Our power as consumers cannot be overstated, especially when it comes to building the second story of our local food movement. By making the choice to source more and more of our food locally—which, because of the ever-higher quality, is an easy one—and then putting our dollars behind that decision, we’re contributing tangibly to our gustatory pleasure and food security all at once, and helping our talented producers to turn the Hudson Valley into one of the world’s great food regions.